Bollywood CineTalk: Hrithik Roshan & Rabir Kapoor beats Shahrukh Khan & Salman Khan Respectively! 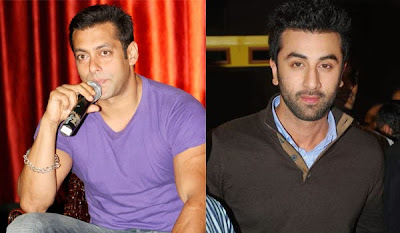 Hrithik Roshan & Rabir Kapoor beats Shahrukh Khan & Salman Khan Respectively! Recently some surveys were conducted by Shaadi.com on their website with over 7,000 men and women in the age bracket of 24-30 years taking part. What came interesting is that Hrithik Roshan was voted as favourite celebrity Husband in the Poll beating SRK at 2nd, Whereas Ranbir was selected as as the most wanted bachelor in the country beating Salman Khan. and Amitabh Bachchan got 20.18 percent votes. While in the Most Wanted Bachelor in the country, Ranbir Kapoor claimed no.1 position with 31.4 percent votes beating Salman Khan who got 25.6 percent votes. Congress’ Vice President Rahul Gandhi received 21.98 percent votes and Cricket Sensation Virat Kohli got 21.02 percent votes.